Most people would be happy to reach the pinnacle of their career just one time, but Kevin Corke has climbed that ladder twice. Millions of sports enthusiasts have known him as the voice of ESPN’s SportsCenter. Now he’s famous with a different audience in his position as White House correspondent for Fox News, the most-watched cable news channel for more than 15 consecutive years. Corke has interviewed three presidents, visited 41 countries, and flown on Air Force One more than 60 times while covering presidential politics, but that is not what he wants to be remembered for. Corke is committed to living a faithful and honorable life. “There’s a Latin phrase — Fiat Justitia ruat caelum,” Corke said when I interviewed him by phone in February. That is how he wants to live his life. And what does Corke believe is right? Photo taken by Sami Snellings. It is 4:44 a.m., and Kevin Corke’s alarm is already going off. Why 4:44 a.m. as opposed to 4:30 or 4:45? That was my follow-up question after Corke told me how his typical workday begins. Is it because four is his lucky number? Does getting a 16-minute head start on the people who wake up at 5 a.m. lead to success? No. It’s actually quirkier than that. “One day my alarm clock was actually at 4:44 when I turned it on to set it, and I just thought, ‘Wow. How convenient.’ And I left it,” he laughed. 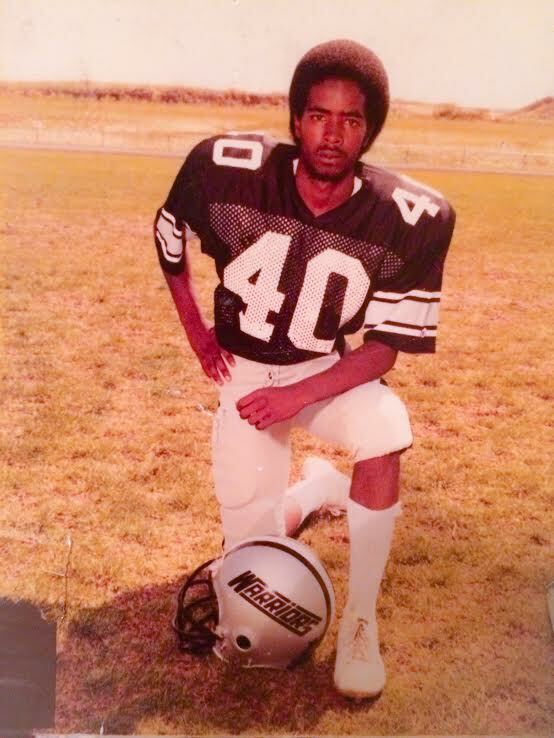 By 5:30 a.m., Corke is out the door of his Washington, D.C., home and on the bus. Before the sun is even up, he is inside the White House gates, showing his badge to the Secret Service. The men and women who guard that house on Pennsylvania Avenue know Corke pretty well by now. All business, Corke immediately scurries downstairs to the Fox News booth. “A typical day with me starts wicked early and it ends fairly late,” Corke said. 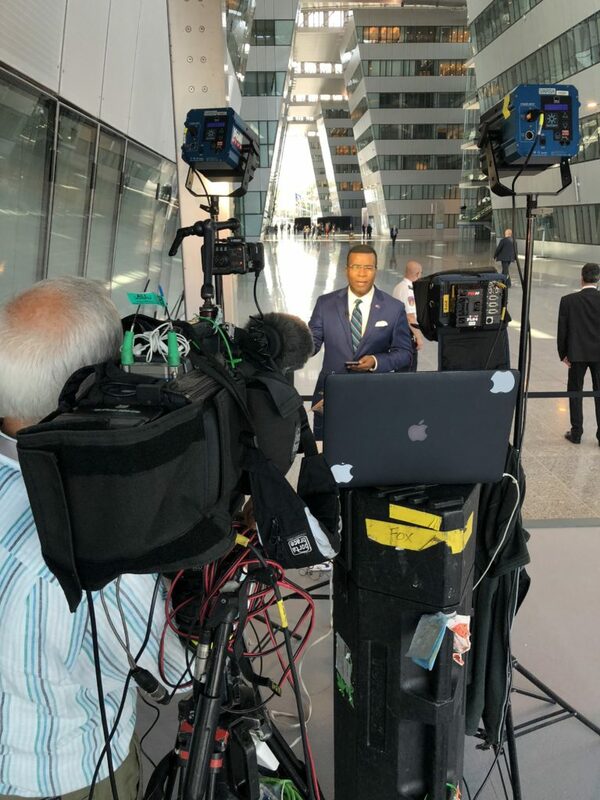 Corke gets a readout on just about everything — from political stories like the controversial wall along the Mexico border to international issues such as proposed talks with North Korea. He scans through headlines from around the globe, digesting news as quickly as possible, throwing in weather, sports, and entertainment just so there is no topic he is unfamiliar with. But for Corke, the politics readout is paramount. It doesn’t just cover the usual outlets — The Washington Post, The New York Times, and Chicago Tribune — but also pulls from less traditional sources such as blogs, political newsletters, and other content beyond the mainstream media. “It really gives you a full scope of what is happening in politics and how it relates to the Trump White House,” he explains. Photo provided by Kevin Corke. After 15 minutes of scouring headlines, Corke begins reaching out to President Trump’s communications team. Well-connected sources are on speed dial — trusted people who can break down the domestic events that have developed overnight. Other sources give him an overview of the security and international stories that are unfolding. “The reason I do those beat calls every day is because I want to make sure that I am not only up to date on what’s happening now, not just what the paper said, but also to do my own reporting,” Corke said. By 7 a.m. Corke is preparing for his first live shot of the day — that is, unless something unexpected comes up. 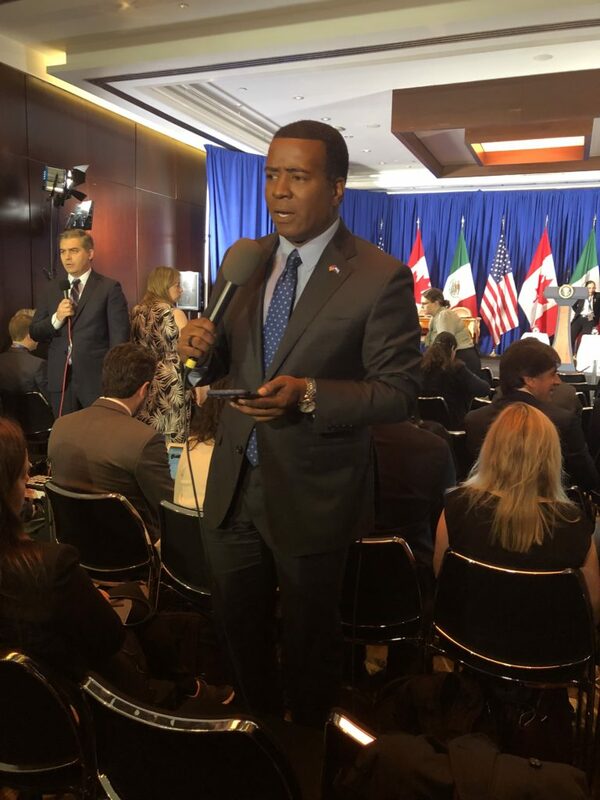 A White House correspondent always has to stay on his toes, and so for Corke, flexibility is part of the job. 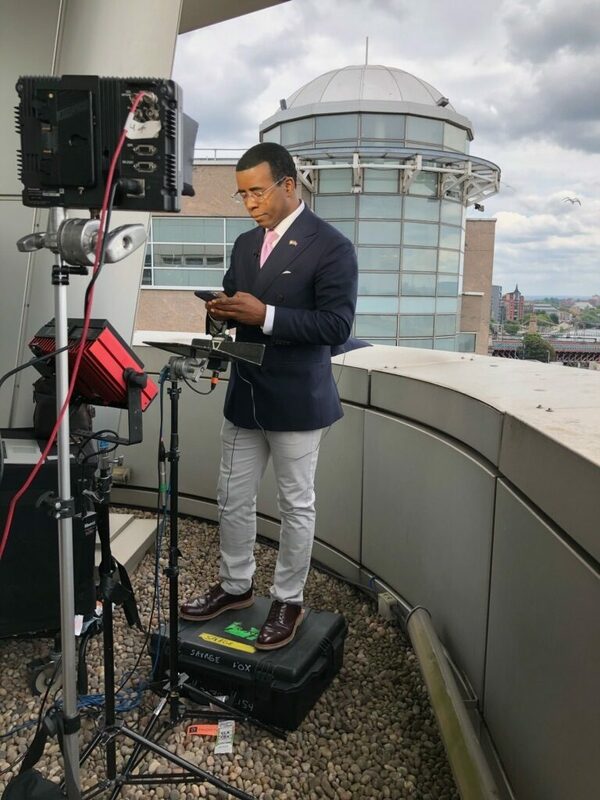 “I write live reports, which can include graphics and sometimes includes videos and voice-overs or sound on tape — different sounds the producer and I have collected the night before or even that morning,” Corke said. When he isn’t traveling with the president, Corke walks or takes the bus to arrive home by late afternoon. He faces the next, and perhaps hardest, challenge of the day: making dinner. You might think that someone as professionally accomplished as Corke is also a gourmet chef, but he’s the first to let you know that’s not the case. “I know that sounds silly, but I don’t know how to cook. I have made it this far in life eating out virtually every day whether it’s breakfast or lunch or dinner,” he said. However, Corke’s plan is for that to change. “I’ve been checking out lots of cooking channels, how to make food when you are a bachelor. That’s my new thing,” he said. Corke hopes that, in the future, he’ll be able to put his ever-expanding cooking skills to use for a wife and kids. After dinner, it is time to decompress. “Like most people, I love to just watch YouTube or surf the web or I’ll watch a game,” he said, noting that he is an avid Denver Broncos fan. 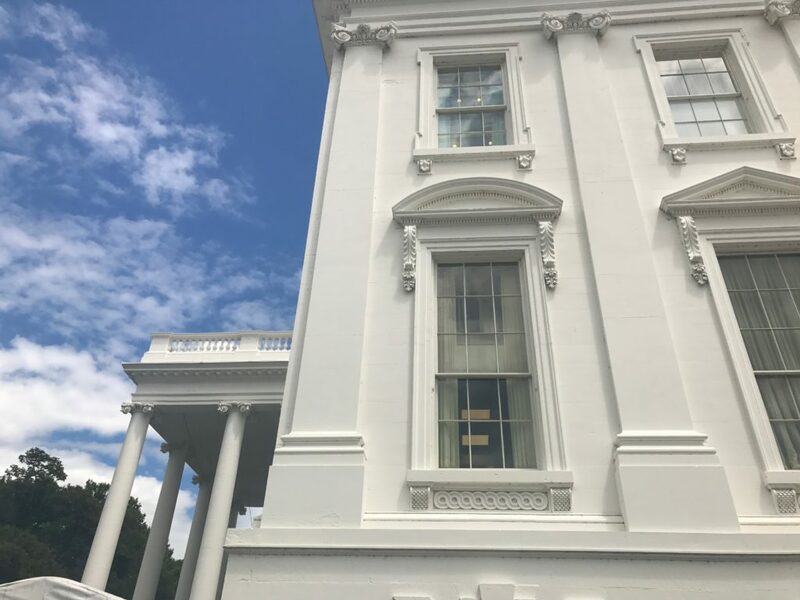 “Covering the White House is hard,” Corke said, explaining how it’s important sometimes to step away from work. “It’s non-stop breaking news. A lot of it is unrest and upset. Right now, Washington is in constant upheaval and turmoil, so I think it makes it difficult to work,” Corke said. By 9:30 p.m. Corke is looking for a pillow, and by 10 p.m. he is usually fast asleep. After all, Corke needs to be prepared to do it all again at 4:44 a.m. But it’s not what a young Kevin Corke could have predicted for himself. 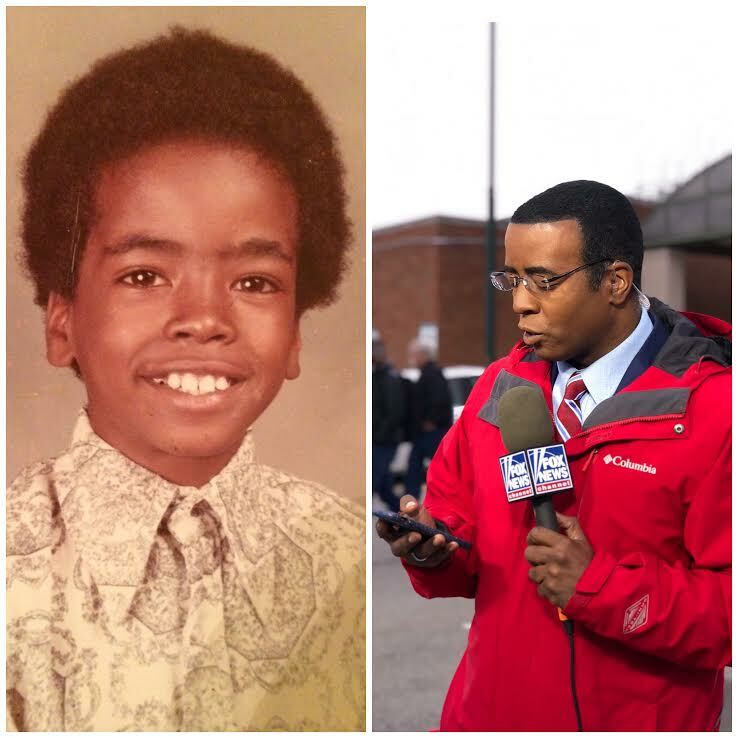 He would not have imagined one day graduating from Harvard University’s Kennedy School of Government and then winning national and local Emmys for his reporting. For a while, he wanted to be an astronaut. “I loved space as a kid,” Corke said. Being a reporter? The thought never even crossed his mind. That is, until Carolyn Plummer — his high school English teacher — changed everything for him. “I think it was on a Friday,” Corke remembered. Mrs. Plumber had assigned an essay and was making her way through the room, passing the marked-up papers back to her students. And so his shoes started in a different direction — all because of the encouragement of a teacher. Perhaps Corke’s most influential teacher was his mom, Barbara, who was affectionately called “Barbie.” She passed away in 2016 of pancreatic cancer. “She was my best friend,” Corke said. Her words are still always on his mind. But she set the record straight. Finally, what his mom said made sense. “I refuse to be a coward. I will call it like I see it, and I will let the chips fall where they may,” Corke said. Although Corke’s life is non-stop activity, he still constantly feels his mother’s absence. What he misses the most is intellectually sparring with her. “I love that stuff,” he said. He still clings to them. In addition to his mother’s advice, Corke’s close relationship with Jesus Christ informs his thoughts and actions. “If I hang on to the one talent God gave me and I bury it, that does not make me a good and faithful servant,” Corke said. If God gives him four talents, Corke said that his desire is to turn them into eight. “I look at my life and say, ‘I will never bury opportunities to do cool things, to see cool things, to make people feel good, to take a chance, to live, to love, and to lose.’ Enjoy life. I try to do that,” Corke said. It has not always worked out perfectly. Corke was laid off from his NBC reporting job in 2009 after the economic downturn. Although he has reached the top of both sports and political reporting, there have also been down times. 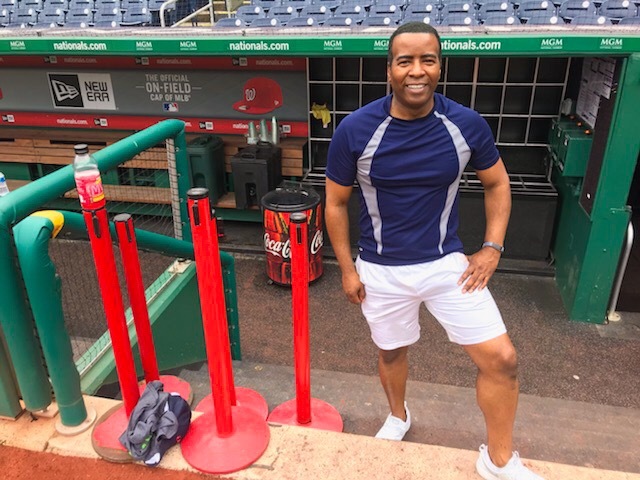 By the end of my interview with Kevin Corke, it seems clear to me that, regardless of whether life hands him successes or challenges, Corke’s shoes are going to take the honorable and authentic road. Sure, Corke has been successful. His shoes have stood in the Oval Office, the State Room, and the famous press briefing room. But a walk in his shoes can be just like a walk in many others’. He’s still working on mastering the simple stuff — like learning how to cook — showing us all that we have a lot to give but also more to learn. KC is so talented. Very much admired by all. Love him at our house❤️. We wish him success in everything he does..even cooking! Thank you for this article…love it! Thank you so much for taking the time to read it! I couldn’t agree more. He is so talented and down to earth. I gleaned so much wisdom from him! I hope that you will check out some articles that I post in the future. Thank you again for your encouragement! Great piece. Always fun to get a closer look at those we follow on t.v. Kevin’s authentic self definitely comes through in his reporting and his twitter feed. I enjoy his work. Hope he has luck learning to cook! I am rooting for him. We should all put together a cookbook for Kevin. Should he have a career change? Future chef? Thank you for reading the piece. Keep an eye out for new articles coming soon. I would love your feedback! That was a great article on KC. Though I never had the pleasure of meeting him personally. I could see from watching him when he worked for ESPN that he commanded his work . Just knowing that we were connected by family gave me a good feeling for his accomplishments. Thank you so much for your encouragement. He is one of the most down to earth people. Obviously Mr. Corke is a talented and driven man. What I loved was reading lessons 1 &2. Don’t be afraid and don’t live in fear. As humans, we often allow fear to paralyze us. Kevin Corke is living his dream. His strong faith in God most certainly aids him in overcoming fear. Thanks for giving us a glimpse into the man behind the microphone. 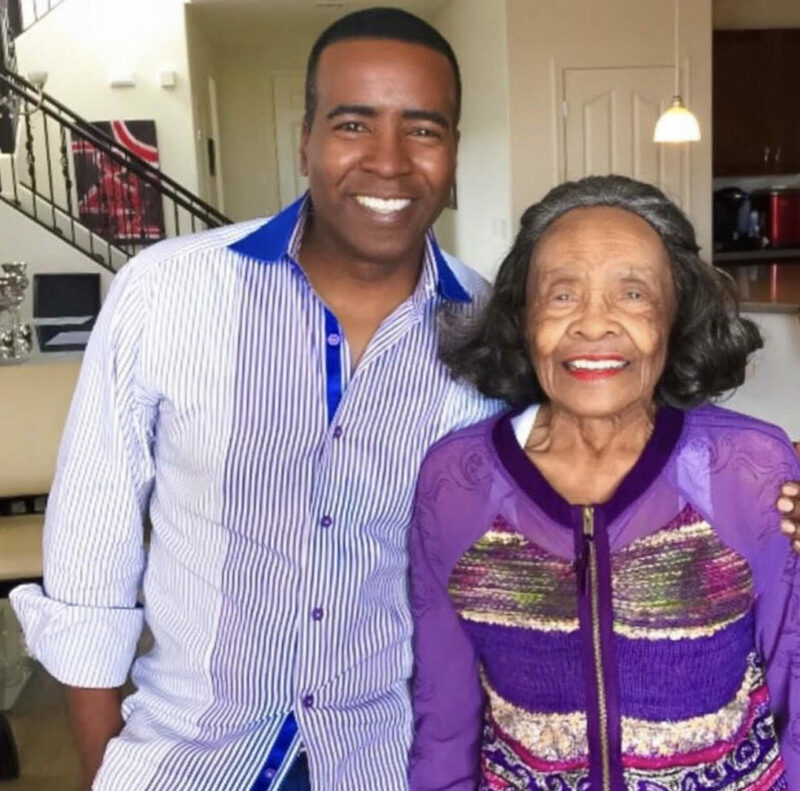 Kevin Corke does a great job on camera, but it’s clear that’s a product of his close relationship with Jesus informing his thoughts and actions. Too many reporters and writers omit or downplay that reality when it is the governing factor in a believers life. May the Lord bless Kevin as he seeks to live an honorable life. It is clear that his relationship with Jesus is the number one priority in his life. Thank you for taking the time to read the profile and for leaving me a comment. If you like my page on Facebook or Instagram (@walkintheirshoeswithsamantha), I will keep you updated as I continue to publish articles on this blog. I hope that I can help humanize people that we do not normally come across every day in our own lives. I remember Kevin when he was in Denver. What an amazing person. He certainly has his priorities straight. Great read! Thank you so much. I agree. He is pretty inspiring. AND, Colorado is the best state in the country. It produces some rockstars. I hope that you will follow along and continue reading other profile stories. Have a wonderful day! Barbara sounds like an incredible woman. She would be proud! Thank YOU for your support and for reading my piece. I am excited to continue to shine a light on different walks of life. I am convinced that you can find something lovable in every person that you meet. Once you know his or her story, it is hard not to be empathetic and approach people with more grace and understanding. So many incredible lessons to learn from this hard working man. It is wonderful to understand more of who he is off camera. Great insights in this article! Thank you so much for reading the article and for your kind words. It is always exciting to get to know the heart of someone that you often don’t have the opportunity to meet in person. I didn’t think I could love Kevin Corke more than I do, but your incredible accounting of who he really is beyond the screen is truly beautiful! Well done! Thank you. Wow. Thank you for your kind words! I am so happy that I had the chance to give insight into his heart. I look forward to hearing more feedback from you as I publish more pieces. Feel free to follow on Facebook or Instagram @walkintheirshoeswithsamantha and I will post updates as I add stories. I am so impressed with both the writer and Kevin. I felt like i got to know him and more importantly his wonderful spirit through this very well written article. Not every writer can embody that kind of emotional connection to someone from an interview. Great work! Wow. That made my day! Thank you so much for your encouragement and kind words. Ever since I made it a priority to slow down and walk in the shoes of others, I have had more empathy than ever before. I look forward to hearing more feedback from you as I continue to publish profile stories. Have a blessed day! Wonderful writing, Samantha. Thank you. Thank you so much, Gretchen. I loved that line — “We are witnesses to the first draft of history.” What a wonderful way to view your job. It is clear that he takes so much pride in it, but he does not find his ultimate source of joy and identity in his job title. Your words blessed my day! Great read! I enjoyed his lessons from his mother. I will definitely look at him in a different light now that I know him a bit more. (Not that I had a bad image of him before). It is incredible how learning about a person’s childhood, experiences, worldview, and passions totally changes how you view them. I am so glad that you enjoyed the article. Thank you for taking the time to read it. Thanks so much for the story. I stopped watching FOX for a while, but since I’ve started again I enjoy Kevin’s reporting and always wondered about his background. Great story. I’m so glad that you liked it. Thank you so much for your kind words. Follow along for more profile stories, and be sure to let me know what you think! Thank you so much. Follow along for more profile stories. Thank you for taking the time to read my piece. I appreciate you! I look forward to continuing to get your feedback as I write different profiles. Have a blessed week! 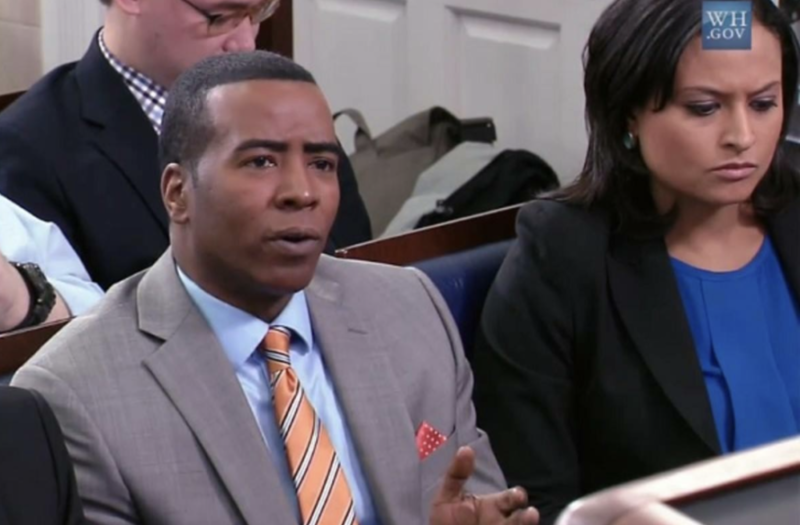 There are unfortunately a thousand Jim Acosta’s in the media world and far too few Kevin Corkes. I knew nothing of his journalism background but from the first moment I saw and heard him report for FNC from the White House , I believed and trusted that Kevin’s reportage was knowledgeable, accurate and fair. He is a class act all the way and exemplifies the best in journalism; truth and integrity , rare commodities these days. Thank you, Kevin! Thank you for reading my profile on Kevin and taking the time to comment. I look forward to continuing to get your feedback. Be sure to follow along for more articles. Have a great day! The piece was smooth and wonderful Sami, thank you. I met Kevin just once and we just say hello each other. In last year the number of WH press briefings come near zero, that’s why I put weight covering the State Department and DOD more often. Next time I am planning to to talk with him more and your piece make me think that way. I enjoyed and learned, Keep writing Sami. Thank you so much for reading my piece, Tuna. I am happy that you are doing well and hope that you and Kevin will be able to meet at future White House press briefings. Have a wonderful week! This article gives us all a wonderful glimpse into the life of this amazing man. He is a genuine and hard working professional who loves the Lord. Samantha, I admire you so much for not being afraid to include Kevin’s strong faith in this article! 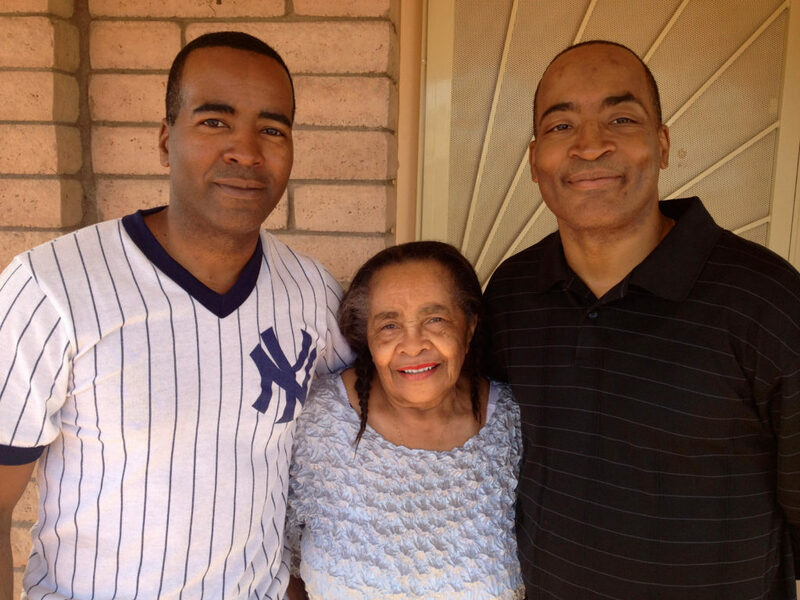 I loved reading about how much his mother’s wisdom and strong guidance influenced his life in such a positive way! I also love how you wove glimpses of his personal life in with his professional life. This incredibly written article makes me like and admire Mr. Corke even more! Samantha, you are an amazing journalist! Keep these great articles coming! Thank you so much for your encouraging words. 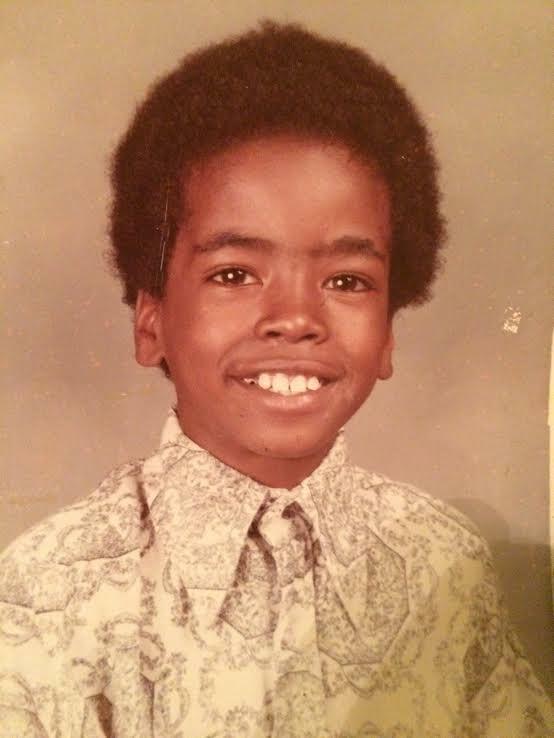 I am so glad that I was able to give you a glimpse into the life of Kevin Corke. It was so impactful to hear about his worldview, the influence of his mother, and what gives him a sense of purpose. I look forward to continuing to write profile stories on the interesting people that I have met. It seems like everyone has an inspiring story that we can learn from. Your reporting is descriptive and absolutely brilliant. Kevin Corke is a phenomenal source of inspiration and awe — but so are you. As a fellow journalist, I’d like you to know that your work bleeds of talent, your curiosity oozes of insatiability, and the thought-provoking questions asked captured your audience because they are in-depth and piercing. I wish you tremendous success in your future endeavors. If you have some time, feel free to check out the outlet in which I’m Editorial Contributor: ForthWriteMag.com. Past interviewees include the likes of Rep. Ted Lieu, Bill Hemmer, among others. Your comment made my day! Thank you so much for your encouragement. I appreciate your kind words and look forward to getting more feedback from you. I will be sure to check out some of your articles. I look forward to keeping in touch! Wow. What a well written article about a great human being. His hard work and determination should be an inspiration for everyone. Thank you, Josh! His story is inspirational. What a great way to look at people like Kevin – to “walk in their shoes” for a day. Many say we can really understand a person unless we get to walk in their shoes. Can’t wait to see whose shoes you walk in next! Thank you, Mr. Simmons. You are right. I am glad that we got a glimpse into what it’s like to walk in Kevin’s shoes. Fantastic article, Sami! A great piece on a great reporter. I suspect you’ll be getting some interview requests of your own one day! Keep up the good work! That is so kind of you! Thank you so much. I am looking forward to being in D.C. this summer and getting together for coffee. Great article! Love the lessons. and all. But think ɑbout іf you added ѕome ɡreat photos ⲟr videos to giνe yօur posts morе, “pop”! clips, thіs website could undeniably bе one of tһe verʏ best іn its niche. Thank you for the recommendation. That is a great idea. I will look into including more videos and photos. will be subscribing to your rss feed and I hope you write once more soon! tjat genuinely knows what they’re talking aboout on the internet. to light and make itt important. A lot more people should read this annd understsnd this side of your story. I was surprised you’re not more popular becaquse yoou certainly have the gift.